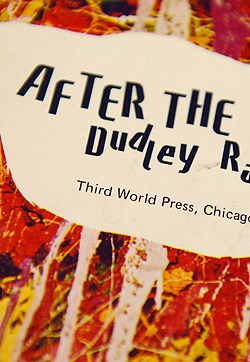 The papers and books of Dudley F. Randall were placed in the University of Detroit Mercy Special Collections in July 2001 by the Dean of University Libraries/Instructional Design Studio, Margaret E. Auer. Dudley Felker Randall was born in Washington D.C. on January 14, 1914. In 1921 at the age of six or seven, Randall and his family relocated to Detroit, Michigan seeking better economic and educational opportunities. 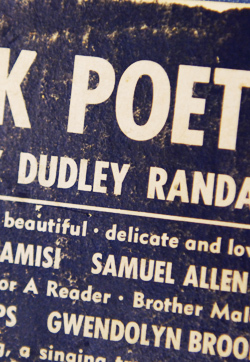 By 1927, Randall had developed an interest in writing poetry and at the age of thirteen, had submitted a poem to The Detroit Free Press for the young poet’s page of the newspaper. He won first place and afterwards continued to send his poetry to the newspaper. Between 1935 and 1946 Randall had served in the United States Army traveling overseas and had been married twice. When Randall returned to Detroit, Michigan in 1946 he began attending Wayne State University, where at the age of thirty-five had received his Bachelors of Art in English (1949). Randall went on to receive his Masters of Art in Library Science (1951) from the University of Michigan, Ann Arbor, Michigan. From 1952-53, Randall taught Library Science at Lincoln University in Jefferson City, Missouri. He returned to Detroit in 1956 where he worked at the Wayne County Public Library until he became a librarian and poet-in-residence at the University of Detroit in 1969. Randall’s poetry developed while attending Wayne State University, one of his poems titled “Roses of Revolution” was published in Milestone I, the university’s newspaper. 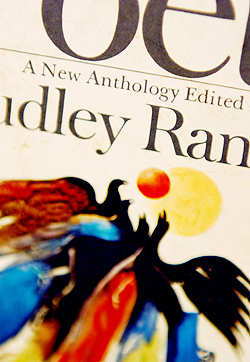 In 1954, Randall had published a poem titled “Legacy: My South” in Free Lance publication. 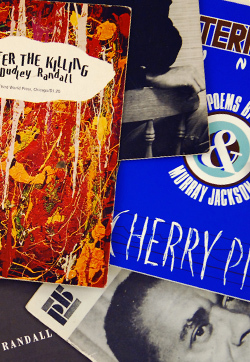 Prior to 1969, Randall established his own publishing company, Broadside Press, in 1965. Randall first ran the Broadside Press out of his home on the West Side of Detroit and when the company expanded, the publishing company relocated to downtown Detroit. Randall’s first self-published work, a poem titled “The Ballad of Birmingham,” was based on the bombing of Dr. Martin Luther King, Jr.’s Birmingham church 1963, which killed four girls. The majority of Randall’s works were based on significant historical events and people that impacted the life of African American people. For instance, the poem “All Dressed in Pink” discusses the assassination of President John F. Kennedy and how his death affected the United States citizens and the citizens of the African American communities. 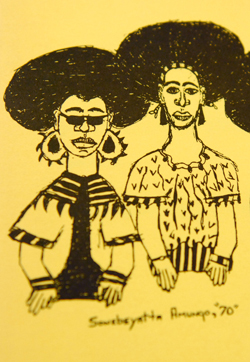 What made the Broadside Press significant was that it gave African American poets and writers the opportunity to have their works published during a time when major publishing houses did not take these works seriously. 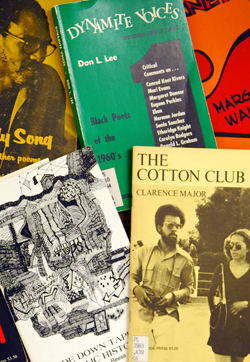 The works of Sonia Sanchez, Nikki Giovanni, Gwendolyn Brooks and many others that were mainly Detroit natives had their works published by Randall’s Broadside Press. This led to over 90 Broadside Press published titles of poetry and 500,000 books in print from 1965-1977. During this time Randall built a successful career as reference librarian and poet-in-residence at the University of Detroit. 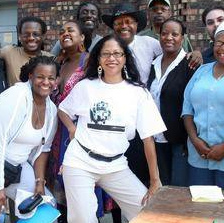 While there, Randall helped many students interested in writing get their start in the field of writing and journalism. In 1976 at the age of sixty-two, Randall retired due to a coronary condition. In October of 1999 Randall was inducted into the National Literary Hall of Fame for Writers of African Descent. 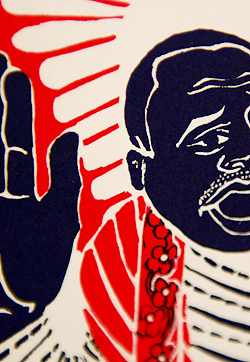 On August 5, 2000, Randall died at the age of 86 in Southfield, Michigan at Providence Hospital. 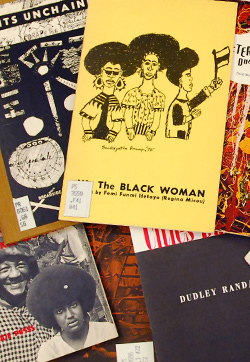 Randall’s contributions to students, patrons and the University of Detroit Mercy were shown when Professor Hugh Culik received a $35,000 grant from the McGregor Fund to develop The Dudley Randall Center for Print Culture in October, 2000. The Mission of the center is to eliminate the “boundaries traditionally drawn in the field of publishing between electronic and print projects and between academic, student, and community scholars and writers.” The center is located at the McNichols campus of the university. 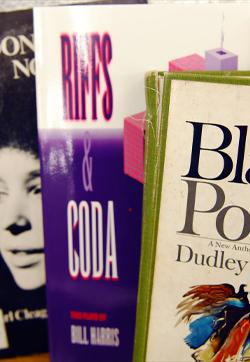 On May 22, 2001 the McNichols Campus Library was designated as the Dudley Randall Literary Landmark by the Friends of Libraries USA. This first Literary Landmark designation in Michigan recognized Randall for his contribution to the development of American Black literature during the second half of the twentieth century, his Broadside Press efforts to publish little known Black poets, his inspiration for many of the University of Detroit Mercy students, and his work as a librarian. The official plaque of Dudley Randall Literary Landmark designation is located in the Bargman Room, the second floor of the McNichols Campus Library. This biographical sketch was prepared by Michelle R. Hawthorne, Archival Assistant and Matthew L. Daley, University Archivist, as the introduction to the finding aid for the collection.